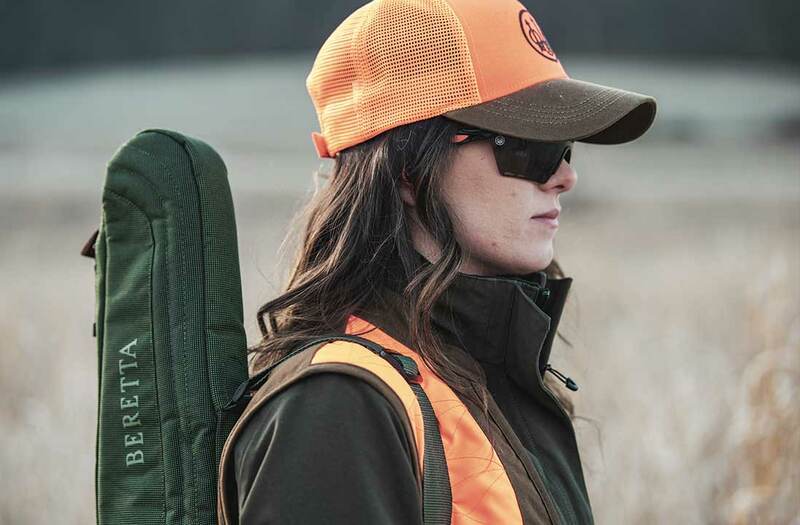 Padded protection area for a shotgun, full zip opening, easy-grip, double lockable zip pullers, adjustable shoulder strap, loop to hang the case in iconic Beretta shoulder strap colors, scratch and water-resistant polyester exterior. Durable scratch and water-resistant polyester exterior, Holds 250 cartridges, flap closure with buckle, Wide opening, adjustable shoulder strap, handle and hook on back allows bag to be converted to backpack. The combination of lightness and strength provide exceptional protection for your firearms and hunting gear. All bags and cases are ergonomically designed to offer maximum functionality in all hunting environments. Durable scratch and water-resistant polyester exterior, double zip opening, washable lining, handle for easy transport, can also be carried as a backpack. Durable scratch and water-resistant polyester exterior, back opening, adjustable shoulder strap.